I like this book and enjoyed reading it. However, I agree with a previous reviewer who recommended Greg Davenport's books (Wilderness Living and Wilderness Survival) in addition to or instead of the US Army Survival Manual. Davenport covers the same material but avoids all the military issues found in this manual. One very nice treat the version sold here differs from the real surplus military version in that it offers color photos of the plants, and it is very comprehensive. While there are specialty books on edible and poisonous plants that are more complete, the material here is very adequate for inclusion in this manual. All in all, one of the best books on the subject, well rounded and very detailed. I have a library of books on this subject and while one reviewer thought this book had too much info and wanted a simpler book, I would say that if you had it with you in an emergency you would not think so. Keep it in the trunk of your car with your roadside tools, you never know when you might need some help. Oh, and remember this book has been modified for civilian use. The original title of "FM 21-76" was "Survival, Evasion, and Escape" rahter than just "Survival". The portions of the book dealing with evasion and escape have been removed, since it has been deemed by someone that civilians will never need this. This book is awsome, and although some people dislike the military references (using you gun, hide from the enemy)i thought it was interesting and sometimes a bit humerous. I gave this book 5 stars because it is EXACTLY what a military survival book should be. Now, if it was written SPECIFICALY for civilians i would give a worse score becase of the military reference. The thing i disliked about this book the most was the lack of information about surviving in what i consider a "normal" envirement. It has the desert, arctic, and tropical, but i want to know how to survive in the wilderness where i live (Northern MN). I was also disappointed with the plants. I know that they were having to cover the whole world pretty much but i would have liked it better to have a few more plant descriptions as only about 4 of the plants listed live were i live. I would also have liked to have a better description of how to prepare the plant (the most tastey way possible with little supplys so that you don't end up spitting it out cause it tastes like ****. Overall: Great for the military, entertaining and very informative for civilians but doesn't cover living/surviving in the Deciduous and Coniferous forests very well. I wouldn't recomend this to someone who wants information about edible plants as it has very little. For that i would recomend the Peterson Field Guide To Edible Plants (i own it, its very good, but i have trouble making any of the food taste good). 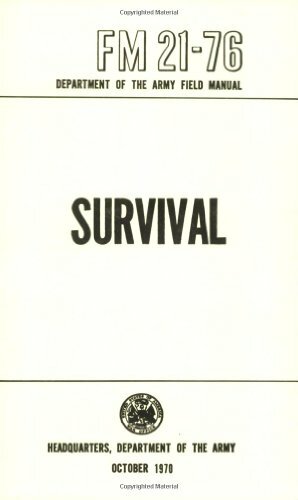 The U.S. Army field manual on Survival is a good basic guide, standard reading for our troops, and unlike some survival manuals, it is fairly well written and organized. I have yet to find a survival enthusiast who didn't have this book or Greg Davenport's Wilderness Survival in their personal library, and that tells you something. One of the bigger drawbacks to the book is its sketchy coverage of jungle and desert survival - for these areas you'll definitely want additional reading on these topics, as there's a lot more information to be had! If you're interested in those environments, Jeff Randall's Adventure Travel in the Third World book is excellent for jungle survival, while Mark Johnson's The Ultimate Desert Handbook is definitely the best desert survival book out there. The Inca Trail from Cuzco to Machu Picchu is South America's most popular hike. This practical guide includes 27 detailed trail maps, plans of eight Inca sites, plus guides to Lima, Cuzco, and Machu Picchu. Fully updated new edition includes detailed new guide to the Vilcabamba Trail. This book gives wonderful advice and preparation if you are going to hike on the Inka Trail to Machu Picchu. There is great advice for safety, route descriptions, and is best for preparation. Info is given on the history of the land, its people and culture, food, places to stay, as well as safety tips for health in the region. However, as another reviewer said below, a professional tour guide would serve you well. Overall a great guide for preparing to walk solo on an ancient and breathtaking trail. This book was good as a general introduction to the trail and to get an idea of what to expect. However, while actually in Machu Picchu, nothing can beat a tour guide. More than half the book is dedicated to the trail and preparing for the hike, so if you have done this already or you are going with a group, this entire section will not be very helpful. The remainder of the book gives an average description of the site while leaving some serious gaps. Tour guides are great in this respect. The maps of the trail itself were a bit confusing and lacked detail. I would have preferred to buy another book on the subject. However, after looking at the books both in the states and while I was in Peru, I discovered that this is the best book out there - unfortunately. So if you want advance information on the trail and the ruins before you get there (and can get yourself a tour guide), buy this book. Just don't expect much. I got this book as a gift just as I was to embark on a most magical 10 day trip to Lima/Cuzco and to hike the Inka Trail to Machu Picchu from Km-82. It is a treasure. I carried it along everywhere that I went. The Lima section needs some updates (Archaeological Museum is CLOSED on Mondays!) and I wish there were more spanish to english phrases but these are nits, the history and the trail description are fantastic and that is the main intent of the book. You do not need any other book! Good show. Excellent Detailed Description of Machu Picchu! 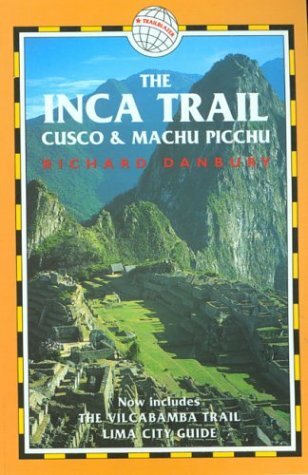 Richard Danbury's book gives a detailed description not only of Machu Picchu and Cusco, but a host of other ruins in the area. The maps provided are detailed and allow a self-tour of each site. Reccomendations for side tours are terrific, plus he provides alternate trails to Machu Picchu for "the road less traveled". There is a brief chapter on Lima, as well as shopping and travel tips for the region. 9. Frommer's Best RV and Tent Campgrounds in the U.S.A.
Inspiration and information to help you plan (and dream about) your next big trek. This book will help you realize your dreams of hiking among the world's highest peaks and most scenic canyons, discovering wilderness far from the clamor of civilization, encountering rare birds and animals, glorying in sunsets over glacier-clad ranges, and feeling the joy and achievement of hiking some of the world's most spectacular trails. I will skip the debate about which hikes are the world's greatest, and greatly admire this book as a current, concise and nicely illustrated presentation.Potterfield lays it out as clearly as a trail guide and attractively as a travel agent.But most of all, these are all hikes he has made. Very professional and personal. 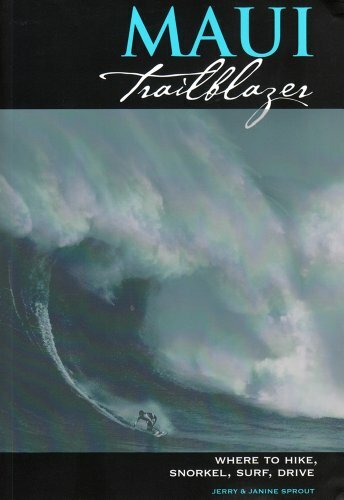 This book has made me change my choices of which hikes to ad to my life list (Buckskin Gulch, Utah) and which to just read about in amazement (Kalalau Trail, Hawaii). I was thrilled to see that I had been in the areas close to some trails that he describes: Grand Canyon, Mt Rainier, White Mountains of New Hampshire, Vancouver Island, and the North Cascades.The book inspires me to revisit these places with better plan and preparation. I found some hikes that I should re-considered now - The John Muir Trail seems not to be the over-crowded trail I had thought it to be, and is back on the list. I wasn't looking for a technical manual, nor a travel brochure, this hits just right - human impressions of some great hikes, clear suggestions for what I may find there, and discussions of logistics, strategy, hazards and seasons. I got two copies of this excellent book, deciding that it would make a great gift for a well-traveled relative who is now an armchair trekker. I saw this book on Amazon and purchased it right away.The title itself is deceptive.Classic hikes of the world would lead one to believe that the hikes would come from all continents.However, almost half (11 out of 23) are from North America.Furthermore, the selection looks as if it was written for and culled from the brochures of an adventure travel company.Of course, like many adventure travel brochures, the pictures are really nice. "Complete" is the key word here. (The "Idiot's Guides" are what I always search for at bookstores when I need help with anything from computer programs to minor auto repairs.) I cannot think of one subject relating to RVing that has been left out of this book. Our very own Brent Peterson's new book covers ever so many topics regarding the RV lifestyle. Jody Schaeffer has illustrated The Complete Idiot's Guide to RVing with photographs being provided by Gary Bunzer. Peterson was generous in giving credit to those that double-checked and edited his information. Though Peterson had been taken on camping trips in his young years, he hadn't really been a true RVer until after he had been working for some time as a RV editor. This book has been written with humor and honesty, including many of the mistakes he made along the way, and how and what he learned from those mistakes. The Complete Idiot's Guide to RVing opens with basic information regarding exactly what advantages RVing can offer you, such as freedom and choices during your trip, and what you can expect from RVing. With nearly 10 million RVs on the roads, it is not just older retirees enjoying the freedom a RV offers, but all types of travelers of all ages are enjoying even weekend getaways. 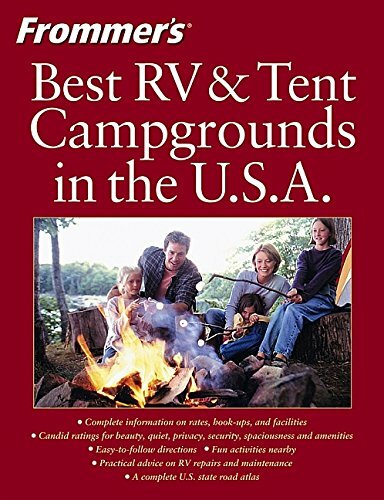 There is an extremely useful pre-trip reference checklist at the beginning of the book that tells you what to check for, step by step, with the engine, exterior, interior, cockpit, towed vehicles and what to check for as you leave..
First you will learn of the various types of RVs and towables that are available and how to zero in on what will fit you and your expectations of a RV. Once you have narrowed your choices, Peterson walks you through the maize of what to look for on the inside and outside of your rig choices and explains what you need to watch out for when purchasing the vehicle. Topics include everything from pushy salesmen to plumbing systems. Peterson then teaches you all about towing vehicles including information on the amount of weight and the various types of weight ratings, hitches, brakes, safety chains, mirrors, tow bars, tow dollies, trailers, fifth-wheels and how important checking all connections before leaving are. Included are many driving tips, the Seven Deadly Driving Sins, getting lost, navigation systems and the importance of weight limits. Also discussed are how to choose where you will be spending the night, hookups, weather conditions and staying in touch with civilization while traveling. Throughout the book are listed many helpful hints that include classifications, such as "One for the Road" which has extremely helpful information on everything from weights, amps and volts to where fish are biting. "Road Scholar" which gives extra hints and information on all things concerning RVs and gives a bit of reassurance for the instances you might think you've really screwed up. "Pull Over" sections are the more important issues to look out for. "RVocabulary" covers the special language reserved for the RV crowd. Each chapter ends with "The Least You Need to Know" which boils down all chapter information to the more pertinent facts. Whether you are a fulltime RVer or just entertaining the thought of buying a rig, this 372 page book is a must have. 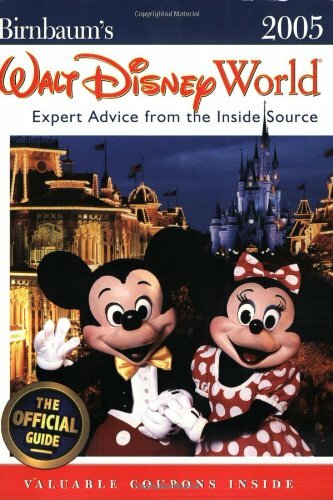 You can buy the book at any Barnes & Noble bookstore for $16.95, or directly on line at www.amazon.com or at www.idiotsguides.com. 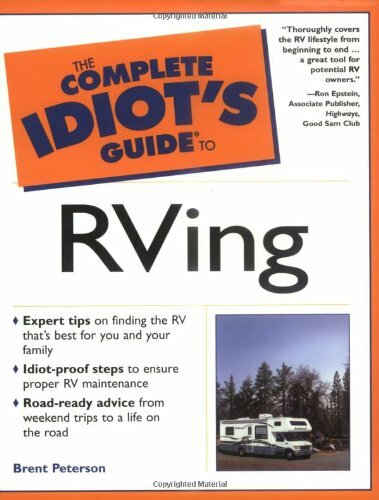 The day that I checked at Amazon they were having a sale and "The Complete Idiot's Guide to RVing" by Brent Peterson was on sale for $13.26. We bought this book before we purchased our first new to us RV. Because we were new to the RV world, this book was perfect for us. The first half of the book explained types of RV, the second half the different systems in the RV. I found the book easy reading and informative and now that we have had our RV for a year, we still refer to this book from time to time. I think it's well written and worth buying and I highly recommend it! As a new RVer, I found the book extremely accessable and easy to understand. It has plain explanations on all systems, which is helpful for a non-techie like me. My first few times out I kept it at hand while trying to get a handle on the dump stations, and it made the experience a lot less stressful. Not only is it informative, but it also is a good read, unlike many of the other books that are dry and boring. I only wish I had gotten it before I bought my RV, so I could have benifited from his advice on selecting and buying motorhomes. As a new RVer, I was hoping to get some quality advice from an experienced pro. Unfortunately, most of the advice is either common sense (you can't drive an RV like a sports car) or overly generalized (an anti-sway device will help your trailer track straight) with little truly useful information. A 52-Week Plan for increased energy, reduced stress, improved mood, permanent weight loss, and a longer, healthier life from the experts at Walking Magazine. I've bought this book four times now, because I show my copy to a family member or friend and they get so excited about it, I give them my copy and then have to go buy another one. 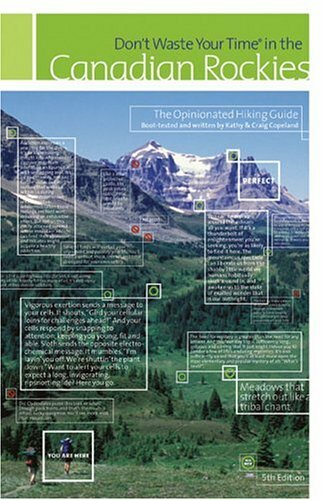 This is the best walking book I've ever come across, with good information for the total beginner or the experience walker who just wants some extra motivation. Buy it! 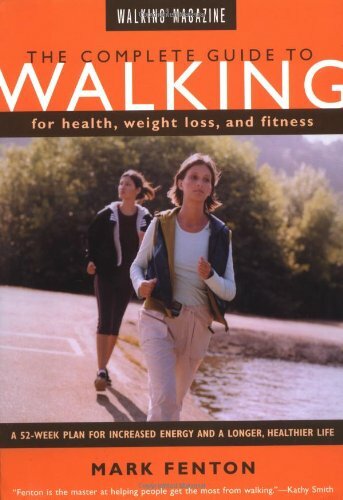 i've been walking for a long time but this book got me walking every day instead of once in a while and taught me how to get the maximum out of my walks. i've stopped obssessing about my weight and my whole attitude towards my body and towards the concept of regular exercise has changed. 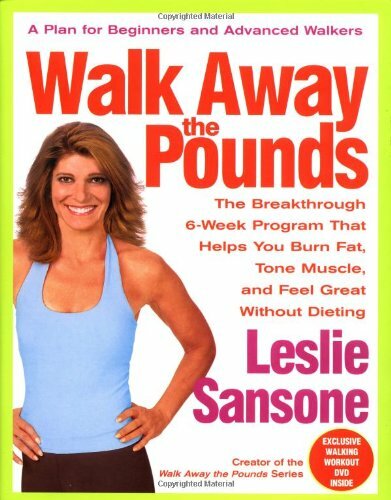 the best thing about this book is that it is a daily, weekly and yearly companion that keeps you on the exercise regime. fenton's writing is guiless and honest -- a friendly push out the door. no criticism, just encouragement to start enjoying the natural movement of your own body. his frankness and simplicity are refreshing. This is one of the best written fitness books out there (and I've read a ton of 'em). Fenton covers topics from how to start a beginning walking program to competetive speed walking, and everything in between. It's well written and presented and is actually fun to read. More importantly, you'll learn it's fun to walk for fitness. A great start for beginners, but also a good motivator for seasoned exercisers. Once considered a feat for superhuman athletes, the marathon is now within every mortal's grasp. Former couch potato John Bingham has joined forces with coach Jenny Hadfield to create a winning plan that works for every mortal--even you. Join John and Jenny on an amazing transformative journey where the finish line is just the beginning. Go the Distance! Have some fun too! Marathoning is more than a physical effort. It is also mental and spiritual. Body and mind both must be conditioned for the 26.2 mile adventure. This book addresses the whole person's preparation for a marathon. Bingham stresses that each person can find success at their own level. A few years ago, I joined "Team In Training" to do a marathon while raising money to fight cancer. A noble goal, but I had never done more than a 5K. In fact I am a cancer survivor myself! I read this book cover to cover, and followed the ideas. Foure months later, I finished my first marathon! I have done a few more since then too! If you are a hot-shot runner, go write your own book. Want a technical book in running? Go get one. This book is for the rest of us who just want to do the marathon, go the distance, and have some fun too! This is an excellent book for whomever needs some help on his/her training. It explains in perfect detail how to train for a full or half marathon according to your current level. It tells you what to expect, how to prepare yourself, and especially it makes a lot of emphasis on cross training (which means training by doing other sports other than running). Cross training is a key component in a good routine. Few authors put so much emphasis on this. He also explains the importance of stretching and using other sports for your benefit. 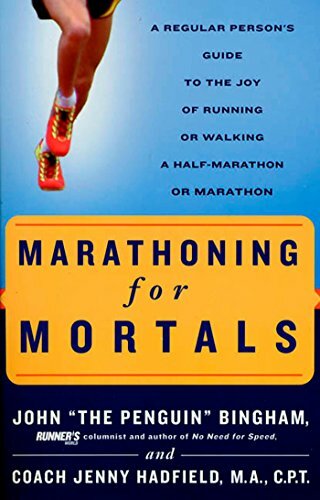 I really think this is one of the best books you can get if you don't know anything about training for a marathon and you are planning to train for one. Bingham always has a great perspective inside each edition of Runner's World. 'Marathoning for Mortals' keeps the same tone while connecting the dots of his 'high five' mantra into a training regiment. You'll get high praise from Bingham while "Coach Jenny" brings it back to the training. They cover everything for the beginner as well as the the runner who is looking to take on his/her third/fourth marathon. It takes you month by month through the training, anticipating every heartbreak and muscle ache. If you're thinking about marathoning, then start here, then move onto Galloway or Higdon. I purchased this book for a friend who is a beginning runner and wanted to achieve a lifelong dream of running a marathon. I did look through it before gifting it and found it to be full of doable advice for the average person. Mr. Bingham does not take the elitist attitude some runners have towards the sport of marathoning; that it has been cheapened by the influx of "mere mortals" who dare to venture out on to the 26.2 mile course with nothing more than a pair of shoes and a few weeks of training. Instead, he maintains that there is a place for everyone in the pack (and I agree) All runners pay the same entry fee. The "mere mortal" may have put in just as much training as the elite runner to get to the finish line. Some can cross the line in just over 2 hours, others require 3 or 4 times that long. In my opinion (and Mr. Bingham's) if they have given it all they have for 26.2 miles, they have run the same race. Anyone contemplating this lifetime achievement (I will NEVER forget the feeling of crossing the finish line at my own first marathon) but who fears that it is out of their reach, should buy this book. A great easy-to-read book that gives you interesting info about what distance running means for your body, and what it takes for you to be prepared both physically and mentally, to get to the start line. John's and Jenny's explanations, experiences and suggestions encouraged me to revisit my training routine for, as I kept on reading, I realized how my original approach was not helping me to get the best out of my effort. I made some adjustments and they have resulted in evident improvements. With outdoor activities for everyone at every level, Maui Trailblazer is all you need to explore the best of the island. Discover the best spots for hiking, snorkeling, kayaking, surfing, and biking, plus tranquil places for birdwatching, relaxing, and swimming. You'll find activities for families, day excursions to Lanai, Molokai, and Molokini islands, historical legends and archaeological sites. Handpicked accommodations, campgrounds, and restaurants for all budgets keep you comfortable and well-fed. A "Best Of" section, recreational outfitters, and practical transportation and safety tips allow you to pull off a flawless trip. 137 hikes and strolls: tropical rain forests and remote valleys, coastal bluffs and lava tubes, Haleakala crater and the Hana Highway, cascading waterfalls, pools, beaches. 44 snorkeling beaches and reefs, including hike-to-coves and the secret places tour boats go. A Resource Links section covering a travelers every need with addresses, weblinks and phone numbers for outfitters, rental and tour companies, visitor info offices, public agencies, ferries, stables, galleries, shops and museums. Our short Hawaiian vacation consisted of 3 days of business meetings on Oahu and three playing on Maui. The two islands contrasted greatly. Thankfully, this book offered us an entire new perspective of island life and guided us to some wild stretches of beach that were definitely off the beaten path. Loaded with photos so we knew what to expect and great maps that quickly got us to snorkeling areas where the water was clean and clear. 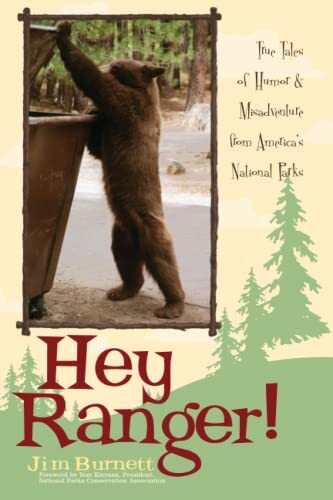 We recommend this book, it deserves five stars. Expertly organized, expertly written with enough detail to keep you going for months. I like every book in the series. The one for Maui is particularly good as it explores many of the little known areas not listed in any of the standard guidebooks. It made touring around alot of fun and the practical advice it offered like knowing the rules of the road and getting to Hana in one piece made all the difference. Read it on the plane and you'll get off knowing exactly where to head. Here's a hint: Big Beach. You'll be in the swing like a local. Paradise found! I just returned from a solo trip to Maui. I used Maui Trailblazer guide exclusively to plan my agenda prior to my arrival. My friends had told me this was the sunny island where the best beaches were and I started on my quest the afternoon I arrived - my condo host supplied the boogieboard. First day, all day spent on Baldwin Beach transitioning to a slower pace.<br /> <br /> Expect to find good freebie tips and directions to beautiful snorkel coves and island dayhike hops. It has a nice mix of opinion, humor, and solid to-do, to-see ideas. Hemingway would have loved this place. I'm in the tourism service industry and have lived on Maui most of my life. When visitors ask me which book I'd choose to tour the island, I tell them this one. It's unbiased, activity heavy and contains safety advice that keeps people out of trouble. The best Sedona hiking guide! The 130 hikes in this edition have been totally revamped and now include a beautiful photograph for each hike. 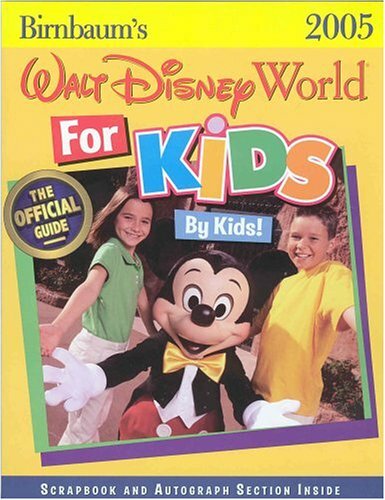 First released in 1992, the authors have worked constantly to keep this guide updated and current through this latest edition. Sedona Hikes is the VERY BEST! 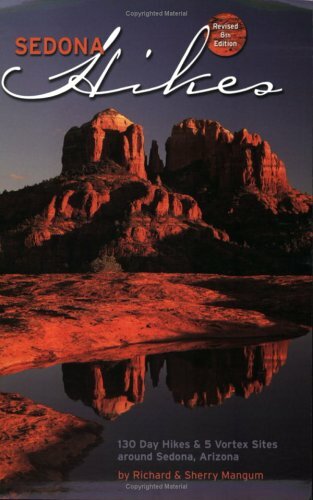 If you can buy only one book about Sedona area hikes, buy this one. Don't give it a second thought. Yes, there are other books but this one is the very best, bar none. That's all that matters. Get your money's worth. Think about this, the authors published their first books in 1992 after researching the hikes for SEVEN YEARS! Then they proceed to put out five MORE revised editions since then. That means they have published six editions in 9 years!! All of that updated knowledge is contained in the 6th edition. Having this book is like having your own personal hiking guide. You get over 250 pages for a mere [amt]!. Their descriptions are the most up-to-date and the best researched. The writing and photography come from a genuine lifelong love for the place, not a desire to make money from a hiking book. We bought their first edition in 1992 and carry it right alongside our 6th edition. We wouldn't leave home for a hike in that area without the 6th edition. It's the Bible, as far as we are concerned. Good luck and happy hiking! Accurate, informative, easy to use, clear, concise and loaded with hikes -- what else could a person ask for from a hiking guidebook? My wife an I bought this book from adventuroustraveler.com for a short stay we had in Sedona this spring. 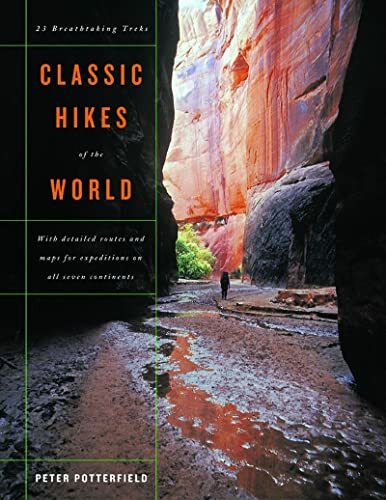 Not only did this book help us maximize our time there by making recommendations and providing explicit maps and distances for every hike, but it gave us a lot of useful information about the history and geology of the area. Even though we only had the chance to make a handful of hikes, we feel we got the most out of them, and a lot of that had to do with this book. We look forward to going back to Sedona and taking the book with us and recommend it for anyone else who plans to visit, too. Sedona's best trail guide book! The most memorable park experiences, from Old Faithful and Mammoth Hot Springs, to Snake River raft trips. Great places to stay in and near the parks, ranging from historic lodges to family-friendly motels—plus a complete campground guide for each park. A fully illustrated nature guide to help you spot and identify bald eagles, bison, wildflowers, and more. The best hikes, from ranger-led interpretive walks to challenging backcountry overnights. What to see and do outside of the parks: rodeos, chuckwagon feeds, IMAX nature films, an elk preserve, Jackson Hole’s bars and boutiques, and more. This book is Outstanding. Peterson does a great job of telling you about all the Important places in Yellowstone. Anyone who wants to travel there should by this books. Peterson's eloquent prose delivers the goods. A tour de force! this book is a lot better than Petersen's previous efforts. Well written, well organized, thoroughly detailed, and chock full of insightful insights. Bravo, Mr. Peterson! Can you imagine writing 243 pages on just 2 National Parks? That's why I say it's right to the detail! Like all Frommer's books, the author starts with his recommendations - best vacations, best hotels, best eateries, best sights etc etc - with regards to the region in question (in this case YST & GRT). And it's really not about pure reporting the facts, but personal opinions that encourage rather than dictate your own opinion-forming process. Other useful information includes month-by-month temperature information, road closures, where to get money, ATM machines etc, and, my favorite of all, When-to-go guide. 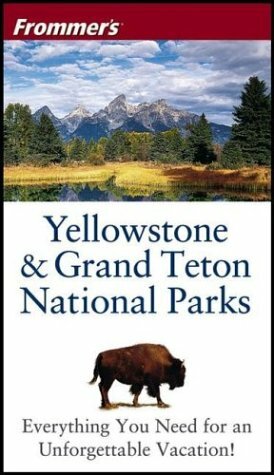 There's even a section that talks about towns and cities bordering Grand Tetons and Yellowstone National Parks, though they are not part of the region proper! As we go deeper, the book will further the divide the regions into smaller sub-regions, such as Old Faithful Area, Norris Jct Area and Jackson Hole. You want to know which town really suits you and will make your vacation a memorable one. There's even a map showing which town is nearest to which attractions. For example if you love the Old Faithful, you won't want to fly into Jackson Hole; or if you wanna river raft in the Snake River, Cody is not the right place to reside during your stay! Commemorating the 150th anniversary of Central Park, photographer and historian Sara Cedar Miller celebrates the aesthetic, cultural and historic significance of America's first public park with the book "Central Park, An American Masterpiece." 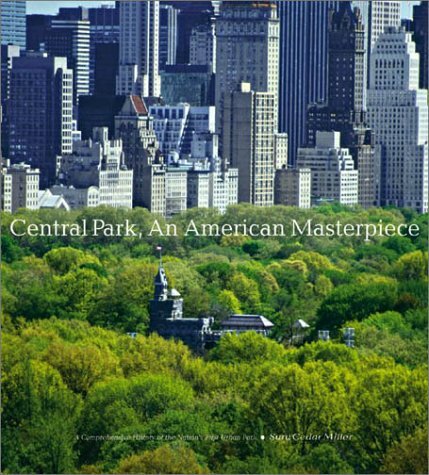 This is the park's definitive illustrated history, and offers some of the most gorgeous photographs I have seen on the subject - a difficult task given the number of pictures that have been drawn, painted and photographed of the Manhattan landmark. 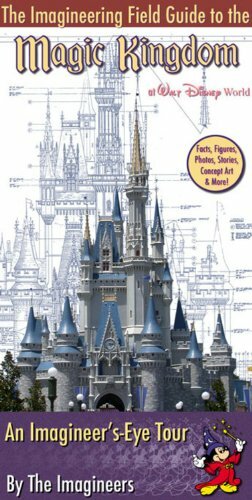 The book includes over 200 color illustrations, original plans and drawings alongside modern photos, giving the viewer/reader an historical perspective. Accompanying Ms. Miller's work, portraying the park throughout the seasons, is a well written text which highlights the conception and creation of the park and its art and architecture. This is a big, beautiful picture book that would make a wonderful addition to any home or library. It's a wonderful gift idea. I know as I have given it numerous times. Ms. Miller is the parks official historian and photographer and has been since the mid-1980s. Sara Miller has put together an outstanding book: a book as vast and detailed as the Great Park itself. For those not familiar with the park and its history, this is an invaluable introduction to the political, demographical, economic and, especially, aesthetic thinking that went into the creation of 800 acres of gorgeous park space in the middle of Manhattan. For those seasoned veterans of NYC history, this is a welcome reminder of the enormous vision and efforts of Calvert Vaux and Fredrick Law Olmsted, as they conceived the park. Nota Bene: A lot of books have gorgeous photos but the print job is miserable ... Others have high-qualtity prints but the photos aren't that interesting ... This book has glorious prints and an expert print job. Pick up this book. After her plane crashes, a seventeen-year-old girl spends eleven days walking through the Peruvian jungle. Against all odds, with no food, shelter, or equipment, she gets out. A better-equipped group of adult survivors of the same crash sits down and dies. What makes the difference? 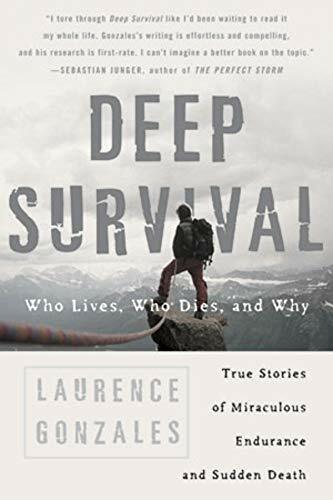 Examining such stories of miraculous endurance and tragic deathhow people get into trouble and how they get out again (or not)Deep Survival takes us from the tops of snowy mountains and the depths of oceans to the workings of the brain that control our behavior. Through close analysis of case studies, Laurence Gonzales describes the "stages of survival" and reveals the essence of a survivortruths that apply not only to surviving in the wild but also to surviving life-threatening illness, relationships, the death of a loved one, running a business during uncertain times, even war. After reading many glowing reviews of this book by self-proclaimed survival experts and others, I was looking forward to my copy. Unfortunately, I don't think this book brings anything new or astounding to the survival literature genre. Many critics have painstakingly noted that Deep Survival does not deal with the mechanics of 'how to' survive, but rather the psychological mindset of how successful survivors dealt with their situation - it's almost as if they believe this element hasn't been dealt with by others (nonsense, of course). Indeed, many people celebrating this book seem to ridicule the idea of actually acquiring survival skills or planning for unforseen situations, as Deep Survival doesn't focus on this aspect. Despite this, some of the book's own survival stories, such as Steve Callahan's lifeboat ordeal, pay testament to the importance of someone who not possessed the correct mental attitude, but ALSO pre-acquired survival knowledge such as knowledge of edible fish and improvised sea navigation AND carried emergency equipment (three solar stills) that proved to be instrumental in his survival. In a nutshell, the book takes 300 pages to deliver what should be three very self-evident messages: Don't bite off more than you can chew, know when it's time to quit, and don't be afraid to call for help when you're in trouble. I think most mature people can understand and practice that advice. But if you're the type of person that needs repeated examples of survival stories for this to sink in, then you need this book. Otherwise, forget it. Those who are focusing on whether or not Gonzales is actually instructing you on how to survive in the wild are completely missing the point of Deep Survival. As a totally urban chick who'd rather die than hike, I bought the book not because I wanted to learn about mountaineering, but to investigate why I've survived a blood disorder that has killed others. And thanks to this book, I've gotten my answer. Gonzales beautifully explains and explores the paradox that must be absorbed completely if one is to live through a catastrophe--which is that to survive something, you must surrender to it, basically fall into it, accepting all the pain and suffering, if you're ever going to get out of it. When you're able to quickly adapt to a new reality and make this new place--however frightening--your new home, you've a much better chance of surviving than the person who's in denial. For one thing, your sense of spirituality and wonder deepens, and this is a tremendous life force in and of itself. It helps you enjoy where you ARE, instead of frantically trying to get to where you think you should be. This is simply a great life lesson, whether you're lost in the woods, or just trying to live a happier existence. He explains the paradox so well--that in order to survive, one must surrender, yet at the same time not give in. There must be a sheer raw determination to win the game, yet an acceptance of possibly losing it as well, which paradoxically, gives you an edge. And if you can muster a playful spirit on top of it all, well--then you're just golden. A *great* read. As a person who spent 23 years in the military and many days in dangerous environments, I have to say, you must read this book slowly and memorize the lessons. Whether you are a city person or a country person, this book contains information you may need in an instant. This book explains many of the lessons I learned thought the great college of hard knocks. Had I read this book I would have been so much better prepared to face the many of the challenges I have survived. I made many decisions that lead to my survival. This book would have made that easier. Many times I was in for more danger than I understood. This book would have made my life safer. It will make your life safer. The first chapters are difficult. The end is exciting. The whole book is essential both to your knowledge and your library. Buy it here now. I was very excited when I first started reading this book because the concept is so promising. I was expecting story after story of outdoor adventures gone bad along with an analysis of why the people did (or didn't) survive. Whatever this book is, it definitely isn't that. I gave up on this book after four chapters, so maybe it gets better later on, but the parts I read were very haphazardly put together. Accounts from real life survival stories are intermixed with the author's philosophy on survival physiology. In addition, the author often makes back references to small facts from earlier scenarios, which is very disrupting to the rhythm of the story. I would recommend reading the annual "Accidents in North American Mountaineering" series instead. Survival skills for the wilderness and life. Last year my family visited the west (Sedona, Grand Canyon, Zion, Bryce, Lake Powel). Upon arrival at Bryce I walked from the lodge to the canyon. 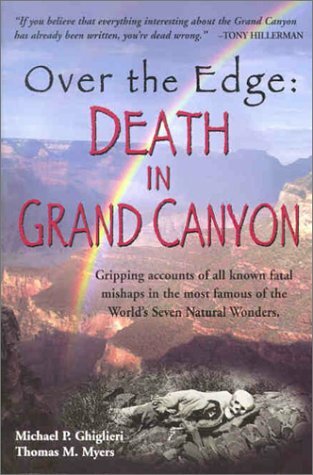 Despite warning signs and the fact that I had all the information I needed right before my eyes if it had not been for a lady sitting on a bench at the edge of the canyon I warning me I would have walked right off the edge of the canyon and fallen surely to my death. I was about thee inches from the edge when she spoke to me and I 'perceived' that I was about three inches from the edge and the next step would be my last. I thought a lot about that experience as I read Deep Survival. The author's discussions about perception of danger and the lack of it leading to deep trouble in the wilderness, on you home street or in business was invaluable. This is a wonderful thought provoking book. It caused me to think back over several trips into the wilderness I have taken and I now view them quite differently. It will also affect future explorations. This book kind of reminds me to Zen and the Art of Motorcycle Maintenance. 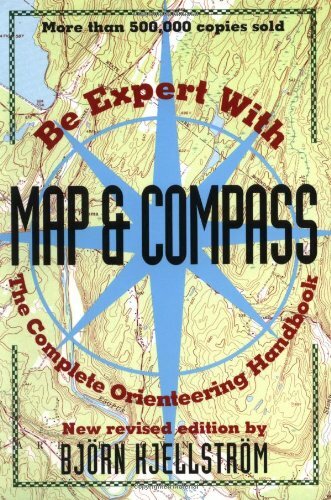 "Required reading for the beginner in map and compass work, as well as for those interested in serious Orienteering. In simple, clear, concise terms the basics of map and compass work are described and illustrated." Be Expert with Map and Compass provides a good introduction to land navigation and the sport of orienteering. The first two sections discuss how to navigate with a map alone and a compass alone. Separate discussions of these two components give the reader a strong understanding of how they work and how they can be useful. The third section then deals with the combined use of map and compass. These sections gently move up in difficulty and make navigating with a map and compass easy to learn. The last section is an introduction to the sport of orienteering and provides information on how to get involved, the rules of the game, and how to set up a competition. Even if you are not interested in competitive orienteering, the book is a good way to learn how to get about with a map and compass. Completely foreign to this subject I was searching for a book to use to teach our homeschool group about orienteering and map reading. The book has an excellent method of learning about mapping and using the compass with hands on projects for a group. The kids had a grand time with the classes and the parents learned a lot, too. Loved all the references that were included to order maps and supplies. if you are not interested in orieenting maybe the second part of this book will be useless for you. BUT the first part (how to use the map and compass) worths every dollar spent, instructions about how to use your map and compass is meticulously explained, and well structured. I read this book preparatory to joining a local orienteering club, to refresh skills gleaned from the Army long ago. It is an excellent small text, simply presented, with a fine sample map for use with some examples and problems. While there are descriptions of orienteering competition, one good thing about this activity is that you can pursue it on your own terms (so long as you don't interfere with others) and be as competitive or un-competitive as you wish. I found this book very helpful I had already orientering skills but this book helped me to develop even more my skills, it will be easily understood by any person, since beginners to experts.